Restaurant stocks have had a tough go of it, but there are a few winners out there. Notably, it’s the companies that are catering to the millennials that are faring the best. Hence an unlikely winner was Domino’s Pizza (NYSE: DPZ). Domino’s stock soared over 7% this week after releasing better-than-expected earnings. Shares are now up more than 46% in 2016. The stock trades at $163 a share, after trading for just $3 a share in 2008. Investors have Domino’s technological prowess to thank — its digital ordering and advances in tech have made it a hit with millennials. Plus, it has a simple menu that makes its kitchen one of the most efficient in the industry. Starbucks (NASDAQ: SBUX) is another millennial play; its mobile app has been a millennial crowd-pleaser and a huge success. And it’s done something that some of the major credit card companies, and even Apple (NASDAQ: AAPL), haven’t been able to do: get people to pay with their mobile phone. Starbucks has now outperformed the S&P 500 by over threefold in the last 10 years. More than 20% of its transactions in the United States are completed via its mobile app. That’s impressive, considering that only 2% of United State retail sales are completed via smartphone. The Starbucks mobile app also gives consumers the ability to place orders and pay for them ahead of time, cutting down wait times and making ordering rather flawless. Chipotle has a key opportunity to figure out how to re-engage millennials. The e-coli scandal crushed the stock, and it is still trading at under $400 a share. The stock has fallen 45% since hitting all-time highs in late 2015. Chipotle now has activist investor Bill Ackman involved; he owns a 10% stake. Ackman could shake up the board, cost structure and operations. Ackman notes that Chipotle has a strong brand and enormous growth opportunity. We could see more Chipotle stores going up as well. Ackman is likely to put pressure on the fast-casual restaurant to franchise more stores. With that, investors could get more dividends or buybacks from the proceeds of selling off stores to franchisees. There’s also the potential for expansion beyond the United States. They key for Chipotle is keeping its menu simple, being able to keep the kitchen efficient. But it also has to do a better job of making its mobile app as additive as Starbucks’. That starts with creating a robust loyalty program, or making its Chiptopia rewards program a more permanent fixture. We could see a bigger move from Ackman if something doesn’t happen before February, when Ackman may wage a proxy contest and seek board representation. Shares have fallen by more than 10% in just the last couple months. 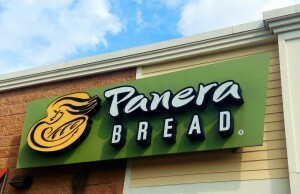 Panera has been somewhat of an underperformer, but things are looking up for the company. First, its top competitor, Cosi, has filed for bankruptcy. Second, there’s its push toward more technology, with its Panera 2.0 investments, which includes its online ordering and Rapid Pick-Up feature. The Cosi shutdown will be a key opportunity to bring people into the Panera rewards program. Cosi operates primarily in the Northeast — namely the New York, Boston and Washington, D.C. — all high-cost urban areas where Panera doesn’t operate. 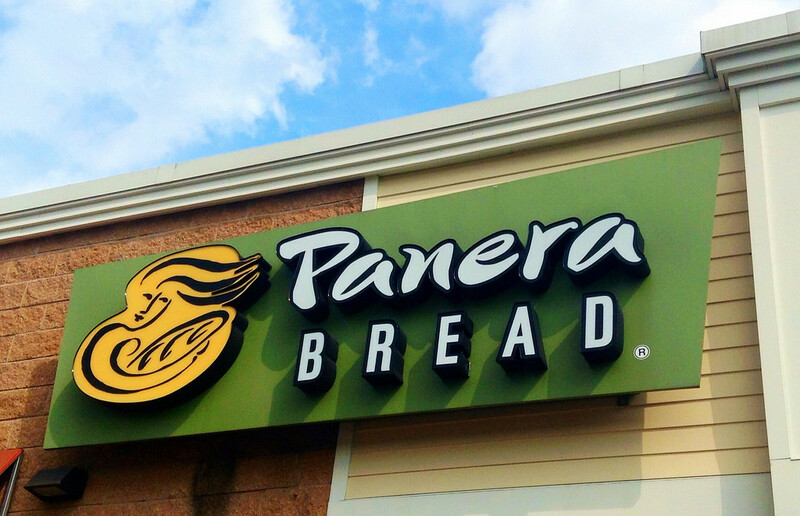 The shutdown means Panera may look to accelerate opening smaller-format stores (that are just delivery and take-out only) in these areas to help capture market share. Consumers will continue to eat out but they’ll be more selective, looking for healthy food selection and easy ordering. The top food stocks above are catering to the fast-growing millennials segment and are great places to start for investors who are starved for gains.